v. PARENTS ON BEHALF OF STUDENT. Administrative Law Judge Robert G. Martin, Office of Administrative Hearings (OAH), State of California, heard this matter in Mission Viejo, California, on February 6, 2012. In this matter, Parent was advised at the pre-hearing conference and at the hearing that, while the District would not be required to provide the incident reports, Parent could, in the course of her cross-examination and rebuttal, present percipient and expert witnesses to testify concerning Student’s ability to access the playground, and could cross-examine District witnesses on the issues of whether they had reviewed the incident reports (which the District would be require to produce if disclosed to third parties) and whether and how the assessment had taken into account Parent’s safety concerns regarding Student’s access to the playground. Parent declined to participate in the hearing without the incident reports. The District’s request for a Due Process Hearing was filed on November 14, 2012. The matter was continued for good cause on December 4, 2012. At the close of the hearing, the District was granted an additional continuance to file written closing arguments by February 13, 2013. Upon the timely receipt of the District’s written closing argument, the record was closed and the matter was submitted. May the District deny Student an independent educational assessment (IEE) in physical therapy (PT) because the District’s September 2012 PT assessment was properly conducted? 1. At the time of the hearing, Student was 10 years old and attending fifth grade in the District. At all relevant times, Student lived within the boundaries of the District and was eligible for special education under the category of specific learning disability. Student was placed in a general education classroom. She received special education related services consisting of occupational therapy (OT) and a resource specialist program. 2. 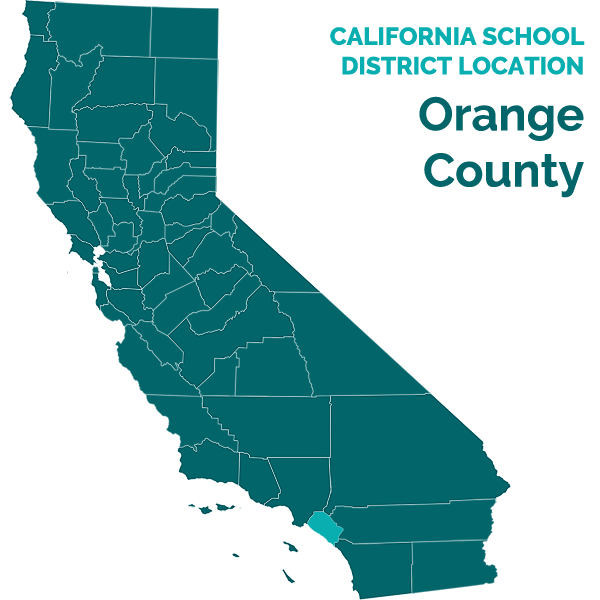 In September 2012, in accordance with an assessment plan signed by Student’s parents earlier the same month, the District engaged Orange County Therapy Services (OCTS), a non-public agency, to conduct a PT assessment of whether Student required educationally-based PT as a related service in order to benefit from her special education program. 3. Student’s PT assessment was conducted by Mary Pat Halonen. Ms. Halonen is a California-licensed physical therapist. She received a bachelor of science degree in PT from the University of Southern California in 1967, and had over 40 years’ experience in the field of PT. Since 1994, she was employed as a senior pediatric physical therapist at OCTS. Ms. Halonen had performed approximately 1,400 PT assessments for medical and educational purposes, of which 300 to 400 were educational assessments of children between the ages of three and 14. Reviewed Student’s medical records from Student’s private medical provider, Kaiser Permanente (Kaiser), which included a November 2011 OT “evaluation,” 2 a February 2012 PT assessment, and an August 2012 PT progress note. Consulted with Student’s medical physical therapist provided by Kaiser. Telephoned Parent regarding parental concerns and reviewed Parent’s emailed response to the call describing Parent’s concerns regarding Student. Reviewed Student’s medical records from Student’s private medical provider, Conducted a physical examination of Student’s muscle tone, range of motion, bilateral coordination, reflexes/reactions, balance/equilibrium, and mobility pattern. Observed Student’s playground activities to assess Student’s functional mobility, gait and balance. Completed a School Function Assessment (SFA) of Student. Consulted with Student’s teacher and principal regarding their observations and concerns with respect to Student. Consulted with the school health clerk regarding Student’s history of falls, injuries and visits to the school health office. 5. Student’s Kaiser medical records indicated that Student was diagnosed with cerebral palsy. She had issues with balance, decreased trunk and lower extremity strength, mild pronation of her feet in which her feet rolled inwards as she walked, and mild tightness of the tight heel cords in both of her feet that caused her feet to point toes down. In August 2012, a Kaiser physician prescribed botox injections in her calf muscles to relax the muscles and reduce the tightness in her heel cords. Student’s private medical physical therapist subsequently trained Student in four follow-up stretching exercises to perform in conjunction with the injections. 6. Student’s Kaiser medical records noted that Student’s parents had expressed concern regarding Student’s balance, right side/left side discrepancy, possible motor planning difficulty, and a history of falls in 2011, including one at school in which she fractured the radius bone at her wrist, another in which she cut her head requiring staples to close the wound, and a third in which she broke her ankle brace. Student’s fine and gross motor skills scored in the average range when assessed in Kaiser’s OT assessment using the Bruininks Oseretsky Test of Motor Proficiency, Second Edition (BOT-2) brief form. Student’s gross motor skills again scored in the average range when assessed using the BOT2 in Kaiser’s subsequent PT assessment. Student did not demonstrate significant balance issues in either her OT or PT assessment. Student had functional skills in range of motion, running, agility and strength. Medically-based PT was recommended to achieve specified goals of increasing Student’s abilities to long jump, maintain a seated position against a wall, hop on one leg, and catch a ball. The Kaiser medical PT therapist working with Student advised Ms. Halonen that the therapist was providing Student medically-based PT in a home program, and that Student was performing stretching exercises at school that were not related to Student’s academics and required no supervision. 7. In an e-mail to Ms. Halonen on September 21, 2012, Parent expressed concerns regarding Student’s balance, decreased single limb stance endurance, fatigue during running, fear of new play structures, decreased motor skills, trunk weakness, lower extremity weakness, hip tightness, several falls at school, including the fall in which Student fractured her wrist, and frequent falls during gymnastics class. Student explained that the gymnastics classes were not held at school, but were once per week community gymnastics classes. 8. Ms. Halonen interviewed Student in English, which was Student and Parent’s primary language. Ms. Halonen found Student to be alert, cooperative, friendly, able to follow all directions, and to answer questions. Regarding the fall at school in which she had fractured her wrist, Student explained that the incident occurred when, instead of swinging from rung to rung under the playground’s monkey bars as they are intended to be used, Student had climbed the monkey bars and fell off while standing on top of them. 9. In her physical examination of Student, Ms. Halonen found that Student exhibited appropriate and timely equilibrium and protective reactions. Student demonstrated the ability to shift her body to maintain her balance when pushed in any direction when either seated or standing. Student extended her arms to protect her head when she lost balance. Ms. Halonen found Student’s spine to be straight, and her muscle tone in her trunk and lower extremities and range of motion in all of her joints to be within normal limits. Ms. Halonen noted Student’s mild heel cord tightness, which was being medically treated, and Student’s mild pronation, for which Ms. Halonen suggested the use of arch supported shoes for improved ankle alignment and support. 10. Ms. Halonen observed Student on the playground to assess Student’s functional mobility, gait and balance. Student was able to walk independently across uneven terrain, walk up and down a school ramp, transition normally from sitting on the floor to standing, broad jump 34 inches, stand on each foot for more than 15 seconds, walk on a sixinch wide curb for 20 feet without losing her balance, and walk and run up and down six campus steps without loss of balance. Student also was able to slide down the playground slides with an upright posture. She could safely climb up an eight-rung curved ladder, a fiverung chain ladder, a seven rung vertical ladder, and climb down the play structure. Student was able to skip, gallop, hop, and perform jumping jacks and scissor kicks. Student’s walking and running forms were conventional, and her running speed was age-appropriate. She did not trip or fall during Ms. Halonen’s observation. 11. Because Kaiser had assessed Student’s fine and gross motor skills using the BOT-2 test twice in the prior year and Ms. Halonen had the results of those assessments, she selected the SFA as a reliable tool to further assess Student’s ability to perform the functional tasks required to participate in the academic and social aspects of her elementary school program. The SFA is a criterion-referenced standardized test that measures a student’s ability to consistently perform specific physical and cognitive skills that are relevant to the student’s participation in school activities. Ms. Halonen had used the SFA over 300 times. She was qualified to use the SFA and administered it in accordance with the instructions in the SFA manual. Results of the SFA assessment are based on the student’s completion of specific school-relevant tasks. The test is not racially, sexually or culturally biased. 12. To help determine Student’s ability to perform the physical skills relevant to Student’s need for PT, the SFA assessed Student’s ability to: navigate the varying surfaces found in the classroom and playground; maintain posture; change physical positions; open doors; and pick up and manipulate small and large objects. The relevant “physical skills” section of the SFA included multiple subsections. Each subsection included a list of schoolrelevant physical tasks, and Student’s ability to perform each task was scored on a scale from 1 to 4: (1) = unable to perform; (2) = partial performance; (3) = inconsistent performance; and (4) = consistent performance. These individual task scores showed Student’s areas of strengths and weakness. In addition, the SFA totaled the task scores for each subsection to a raw score, which was then adjusted based on Student’s grade level to arrive at a “criterion score” that was compared to a “criterion cutoff score” to determine whether Student was performing at grade level. As described below, high criterion scores indicated that Student was performing as expected for her grade level. 13. Ms. Halonen utilized three subsections of the SFA to assess Student’s ability to perform physical tasks necessary to safely access the school environment, the curriculum, and other educationally related experiences: (i) Travel; (ii) Maintaining and Changing Position; and (iii) Manipulation with Movement. In accordance with the SFA’s instructions, Ms. Halonen completed these subsections based on her observations of Student and the conclusions of Student’s classroom teacher concerning Student’s ability to complete the tasks described in each section. 14. The Travel subsection scored Student’s ability to perform 19 physical tasks relating to her ability to navigate the campus, including the ability to move on flat surfaces, move on uneven surfaces, maneuver around objects, keep pace with peers, and avoid dangerous surfaces. Student’s criterion score was 89 out of a maximum of 100. She was rated as able to consistently perform all but two of the tasks – exiting the building to a designated area within the time frame required by the school, and keeping pace with peers. Her teacher rated her as “inconsistent” on these two tasks because she occasionally demonstrated a slower pace when walking to a non-preferred activity. Student’s teacher noted that other Students exhibited this same behavior, and Student’s inconsistent performance of these tasks was not the result of any physical limitation. 15. The Maintaining and Changing Position subsection scored Student’s ability to perform 12 physical tasks such as maintaining adequate posture during classroom instruction, moving from floor to chair or standing position, and boarding and disembarking from all types of vehicles. Student’s criterion score was 92/100. Student was rated as able to consistently perform all but one task – maintaining adequate posture to complete seat work throughout all required classroom activities. Student’s teacher rated her as inconsistently performing that task because Student would occasionally put her head down on her desk when not interested in an activity. Student’s inconsistent performance of this task was not the result of any physical limitation. 16. The SFA’s Manipulation with Movement subsection rated Student’s ability to perform 16 physical tasks such as carrying small and large objects, carrying spillable items on trays without spilling them, and opening and closing all types of doors necessary for movement in and around the school. Student was scored as performing all 16 tasks consistently, with a criterion score of 100/100. 17. When interviewed by Ms. Halonen, Student’s classroom teacher stated that she had no safety concerns with respect to Student’s functional mobility in the classroom, hallways or on the playground. The school principal also did not have safety concerns regarding Student. The school’s health aide confirmed that since the start of the 2012-2013 school year, Student had not been in the health office, and had suffered no injuries at school. 18. Ms. Halonen prepared a report of her assessment. In preparing her report, Ms. Halonen considered all of Parent’s stated concerns regarding Student’s abilities and safety. Ms. Halonen evaluated those concerns based on the information about Student’s abilities that Ms. Halonen had obtained in performing the assessment. She considered the information obtained through her record review, consultation with Student’s medical physical therapist, Parent’s September 21, 2012 e-mail, her interview with Student, physical examination of Student, observation of Student’s functional mobility and gait, Student’s scores on the SFA, consultation with Student’s classroom teacher and principal, and the school’s heath clerk. Ms. Halonen concluded that Student did not require educationally-based PT to receive a free appropriate public education (FAPE). Student demonstrated no physical deficits that interfered with Student’s safety on campus. She was not at risk of falling, nor restricted from sitting and accessing instructional information in the classroom. At hearing, Ms. Halonen persuasively testified that her conclusion was based on the requirements of education law and was not a medical conclusion regarding the need for PT. While Student’s private medical provider, Kaiser, had recommended PT to improve Student’s performance in day-today activity, sports and recreational games, the physical limitations that were being addressed by Student’s medical PT did not impede her safety or her ability to benefit from her special education. Educationally-based PT was therefore not required. 19. Ms. Halonen presented her report at Student’s IEP held on October 12, 2012. Parent and Student’s advocate were present. They requested an IEE for PT. The District declined to provide public funding for the IEE. Within a reasonable time, on November 14, 2012, the District filed the request for due process hearing. 1. The District contends that its September 2012 PT assessment of Student was appropriate, so that it need not fund an IEE in PT at public expense. As discussed below, the District met its burden of proving by a preponderance of the evidence that the September 2012 PT assessment was appropriate. 1. The District’s September 2012 PT assessment was properly conducted. 2. The District is not required to provide Student with an IEE at public expense. Pursuant to California Education Code section 56507, subdivision (d), the hearing decision must indicate the extent to which each party has prevailed on each issue heard and decided. The District prevailed on the sole issue presented.